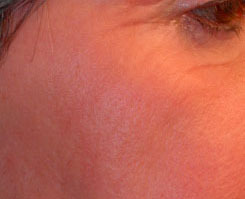 Above: Before and After cO2 Laser Resurfacing to improve Crow’s Feet by Dr. Young. Award Winning Author of a New Theory on Beauty Dr. Philip Young shows the recovery process after Co2 laser resurfacing and the Acne Scar Vitalizer. Watch this video to learn about the recuperation time, how to better schedule your life around Laser Resurfacing and the Acne Scar Vitalizer Treatment. How Laser Resurfacing Works: Laser resurfacing entails using a laser light (co2, erbium) to remove the top layers of skin. This action then leaves the remaining skin cells located within the hair follicles to “resurface” the areas that have been removed from the laser. These deeper cells within the hair follicle structure are deeper than where the co2 laser will work. The action of the co2 Laser will lead to an increase in collagen production under the skin cells that tightens the skin layer and reduces fine wrinkles. The removal of the top layers also removes unwanted skin pigmentation, DNA damaged cells in the more superficial layers, and other damaged cells. The end result that is achieved is fresh skin with more even pigmentation, decreased fine wrinkles, and more even texture. This procedure has even been shown to decrease your chances of getting skin cancer by removing all the damaged cells. 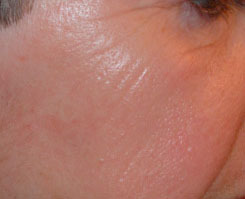 Here is a link to our cO2 laser resurfacing page. The Learning Video on co2 Laser Resurfacing and more Explanation on Fractionated Laser Resurfacing: The Video above explains the difference between active and deep fx. It further explains how the combination of the two is referred to as total fx. Active fx is the surface treatment of the skin in a fractionated manner and pattern. Fractionation just means that the laser spots leave skin tissue in between all the spots of treated tissue. The untreated portions of the skin helps the skin heal faster and helps to avoid complications of tradational resurfacing. Deep fx is the deeper treatment of the tissue through thin cones of energy. It is also fractionated. The two work synergistically together to improve results that they would get on their own. The Active fx treats sun spots, red spots, fine wrinkles, and uneven texture. The deep fx treats the deeper tissue to give you generally skin tightening and mild lifting. Again, the purpose of using fractionated treatment is to avoid the longer down time of traditional laser resurfacing but still allow someone to get similar results as traditional co2 laser resurfacing. As you will see in the video, traditional resurfacing is really active fx without the fractionation. With traditional co2 laser resurfacing the tiny, micro spots are placed next to each other without untreated tissue in between the spots. This is in contrast to fractionated laser resurfacing where there are areas of untreated tissue in between the tiny, micro spots. With Active fx treatment tiny, micro spots are separated by healthy tissue that allows one to heal much faster, sometimes by days to weeks faster than traditional resurfacing. Contact Aesthetic Facial Plastic Surgery:If you are interested at anytime about scheduling an appointment you can email, call 425-990-3223 and even text message us at anytime. Click here if you would like to find out more about our consultation process. We can set up a phone consultation for you and show you how to take the 5 basic photos that you will need.